Despite several years of mixed success with consumers, drinkable yogurts and other fermented beverages are emerging with new formats and target markets to re-establish themselves with today’s shoppers. As a matter of fact, new product launch numbers for these beverages have increased significantly over the past five years, accounting for 8.5% of all global dairy launches monitored by Innova Market Insights in 2015. 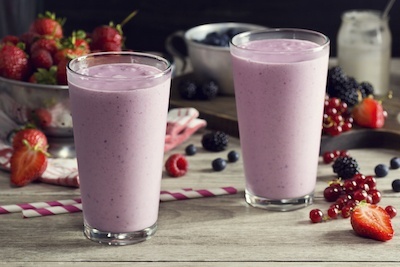 As products like protein-packed breakfast smoothies and fitness shakes win over today’s healthy beverage shoppers, beverage manufacturers have an opportunity to capitalize this resurging trend. As competition in the healthy beverage market heats up, drinkable yogurt is becoming a growing favorite among consumers thanks to yogurt’s healthy reputation and functional benefits. With products like Greek yogurt seeing a huge uptick in consumption over the past 5 years, yogurt has become a go-to option for consumers looking for a lowfat, high-protein snack that will fill them up, taste good, and provide numerous health benefits to boot. In addition to yogurt’s ability to help strengthen and build muscles and control appetite, it can also help consumers regulate digestion, prevent illness, and is loaded with healthy vitamins and nutrients. For beverage formulators who are looking to capitalize on the growing popularity of healthy beverage products and increased demand for yogurt, products like our Grande Primo™ dried yogurt and cultured dairy products can help you create the lowfat, high-protein beverages that consumers are looking for. Whether you want to create a post-workout smoothie, meal replacement drink, or an on-the-go breakfast shake, there are several ways you can incorporate this sought after ingredient in your beverages—each becoming more and more popular with today’s consumers. Only Grande Primo™ combines the authentic yogurt flavor consumers are looking for with textural properties that provide a rich, creamy mouthfeel to make it one of the best natural yogurt ingredients in the entire industry. In fact, our Y100 formulation even meets the Code of Federal Regulations (CFR) for lowfat yogurt prior to drying! For more information about how Grande Primo™ can help your company formulate a natural lowfat, high-protein yogurt drink, make sure you download our Grande Primo™ Yogurt Preference Chart and contact our expert food scientists to learn how it can be used in your specific applications.